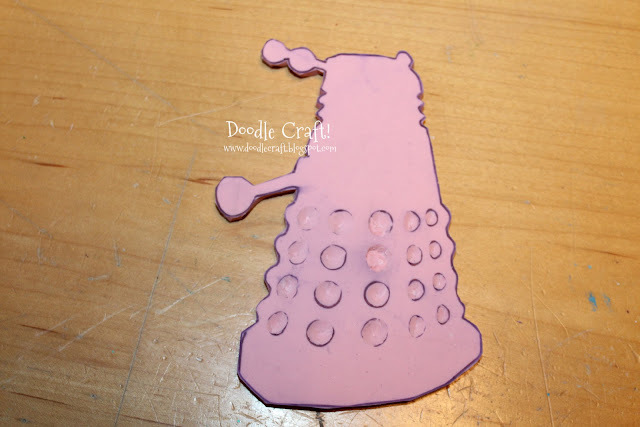 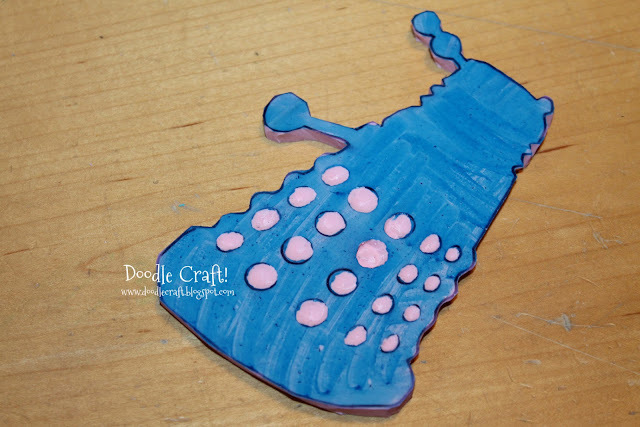 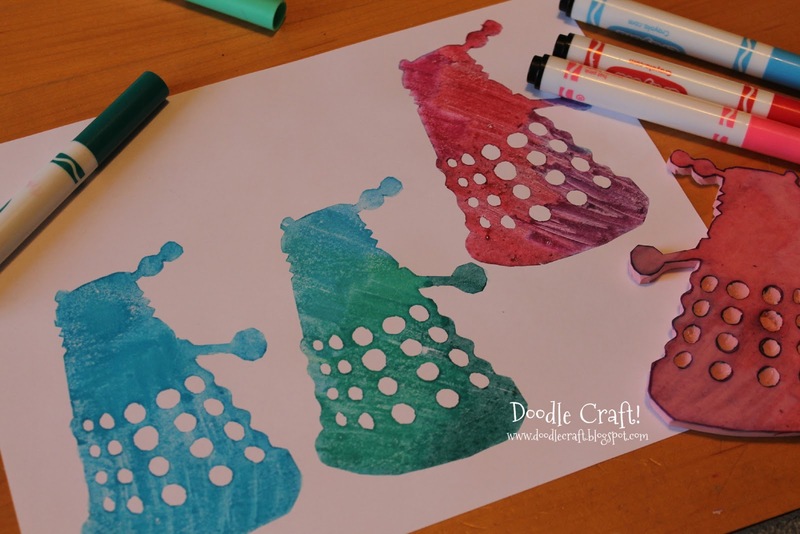 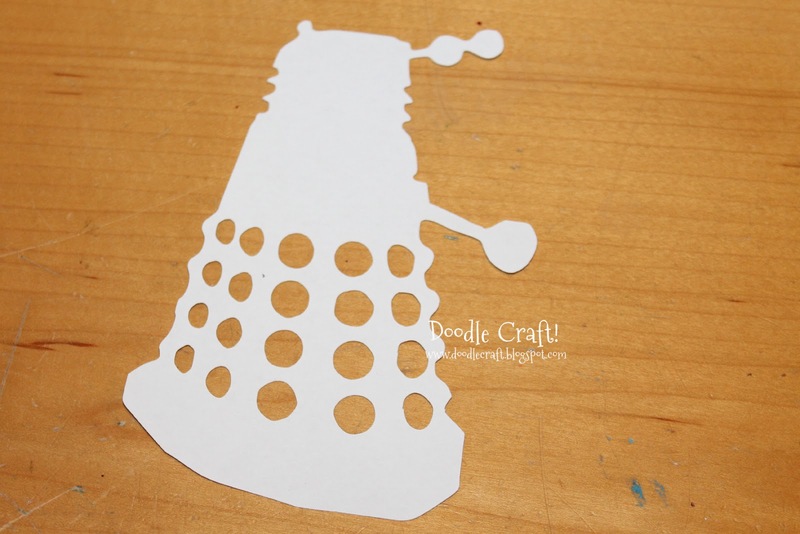 Doodlecraft: Dalek Invasion with Rubber Stamps! Dalek Invasion with Rubber Stamps! 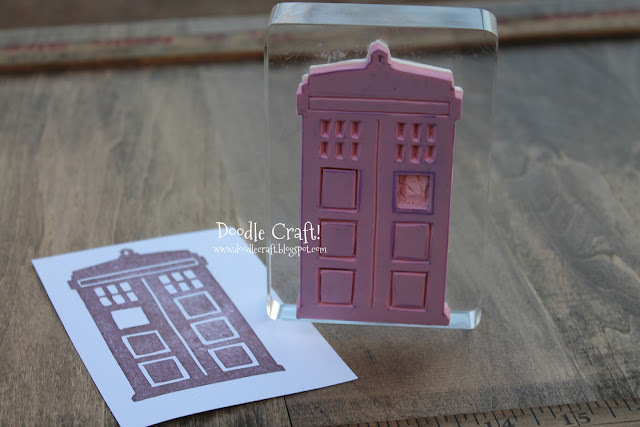 I love my Tardis stamp so much! 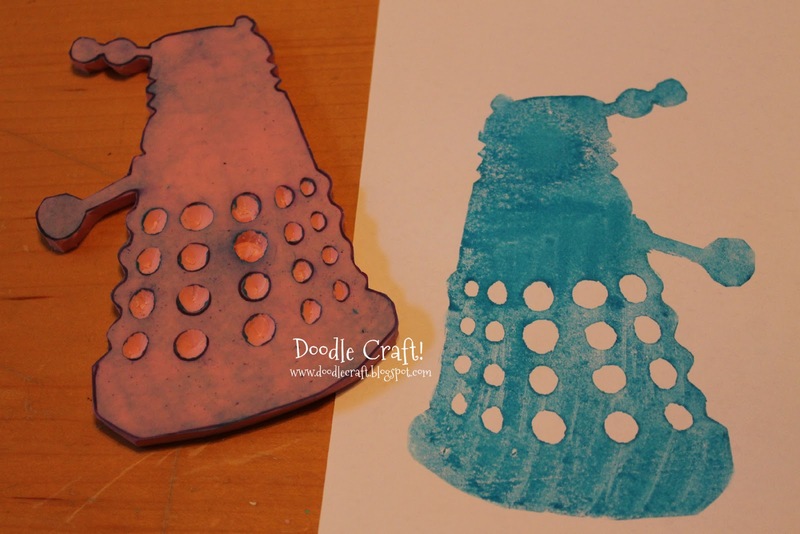 rubber stamps was in order! 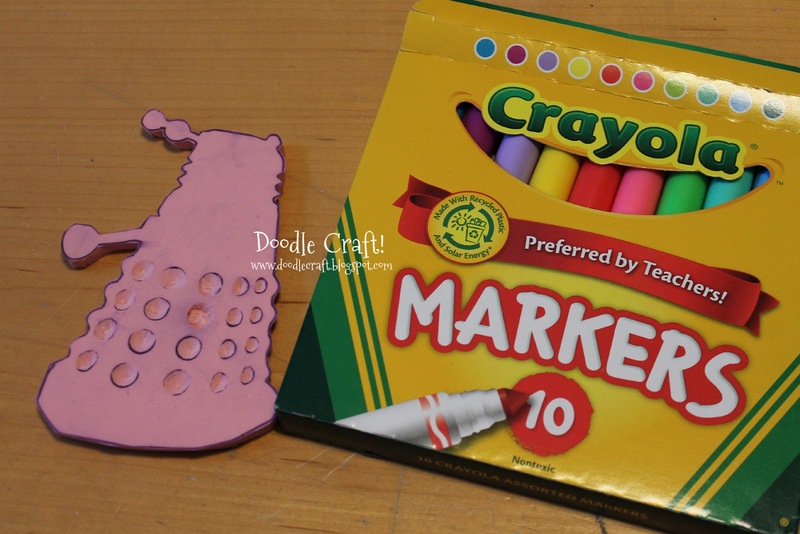 I used colored markers this time instead of ink pads. 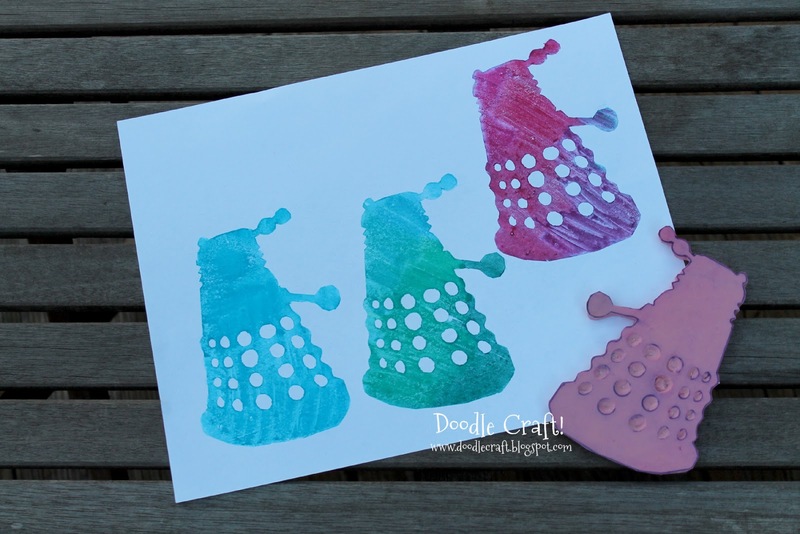 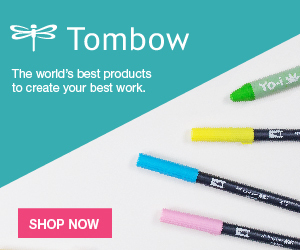 Make them tie-dye looking, fun ombre shades! 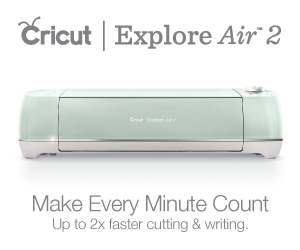 I have more ideas brewing, this is sooo fun! 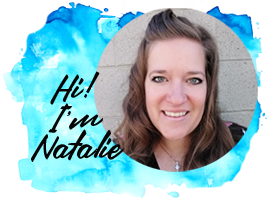 I am so excited you are posting these! 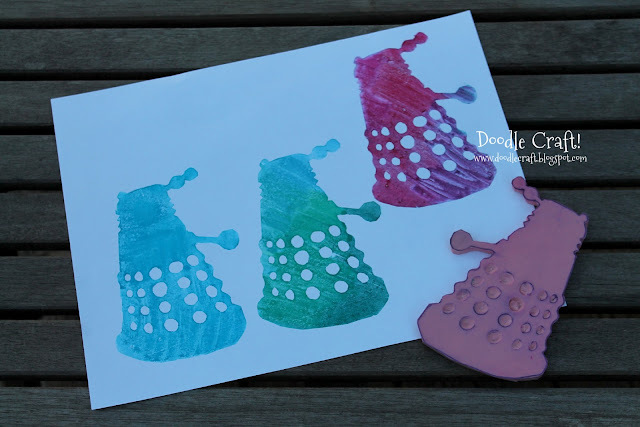 I am thinking of making some myself and stamping them on a blanket! I posted this to splitcoaststampers forum discussion about Dalek stamps and you sister in law saw it. Small world. 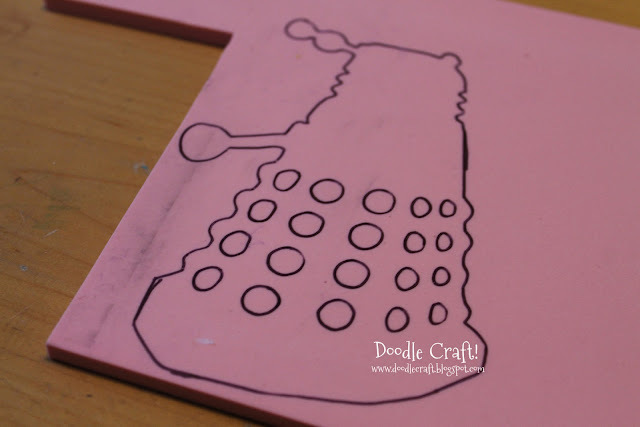 Thanks for sharing the stamp, you did a great job on it!